Skin and cut up chicken. Combine with other ingredients in slow cooker/Crock Pot. Set on low. Serve over rice. 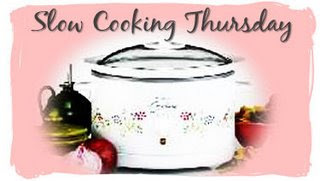 click on the picture to visit Sandra for more slow cooker recipes. I'm going to have to search your blog for earlier recipes. I'm all about crock pot cooking!! looks really good!! I love garlic in anything. I LOVE anything Lemon... and this just sounds toooo yummy!!! BTW - I'll definitely add you and Izzy to my prayer list. 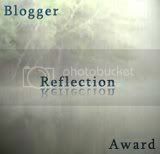 You have a very special Blog here.. I've really enjoyed my visit! And will definitely be back!! This looks very good Annie. Thanks for sharing it. Yum, this looks so good! Have you made this one before Annie? Oh, Annie, that sounds so good! Have you ever tried putting dry rice in with the wine and chicken? I wonder if that would work? Oh yummy Annie, this sounds soooo sooo good...writing this one down too. This sounds great! Thanks so much for sharing. I really am glad that I met you through blogging and I enjoy your sites. You and your family are in my prayers. Annie! Your recipe sounds yummy--I love all things lemon. I am hoping after our baseball season slows down I can get back to sticking with my menu plans. It is easy to plan, but then real life happens and disrupts the plan. Plus...my crockpot died, so now I need to go buy a new one. They sure make life so much easier, don't they? Looks yummy! I'll have to try it. I'm always looking for new crock pot recipes. Yum! Lemon, garlic and chicken all together. Now this sounds like some tasty chicken!! If this had chocolate in it, it would hit all of my happy buttons. I guess I'll have to settle for chocolate for dessert, lol.